It's always rather exciting to discover new brands especially when you’re least expecting it. 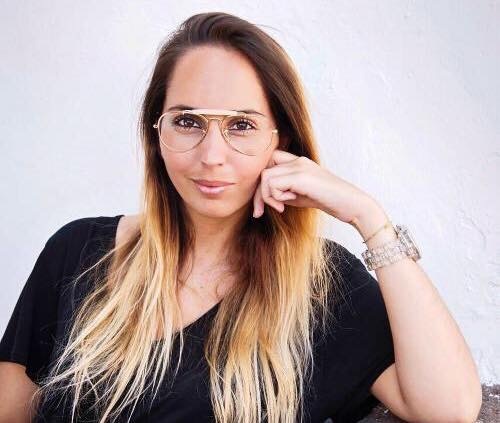 Paloma Suarez is from the island of La Palma and her passion for fashion, art and creativity began at the tender age of 12, when she started painting shoes. In fact, she is still shoe painting and an array of shoes were on display in her showroom at the Isla Bonita Love Festival which I attended with Made Now Magazine, which is precisely where I discovered her. Suarez now lives in Madrid, after having finishing her studies. Her design philosophy is rather an interesting combination of personal experience and wearability. Certainly it's full of colour and positivity – and guess what? She actually paints her own prints and her first fashion film was presented at the Isla Bonita Love Festival. Paloma, the label Paloma Suarez is already an established brand in Spain and you have shown at MBFWM. How do you see events such as The Isla Bonita Love festival helping local emerging designers? I think any event that is done under the intention to strengthen and promote such important things as equality, supported by culture, entertainment, gastronomy and commerce is fantastic, and even more so if this event is in La Palma, my home town. That’s why I mainly decided that my brand and image should be involved in this initiative. It has been a very interesting opportunity and a great chance for other young designers to become known. 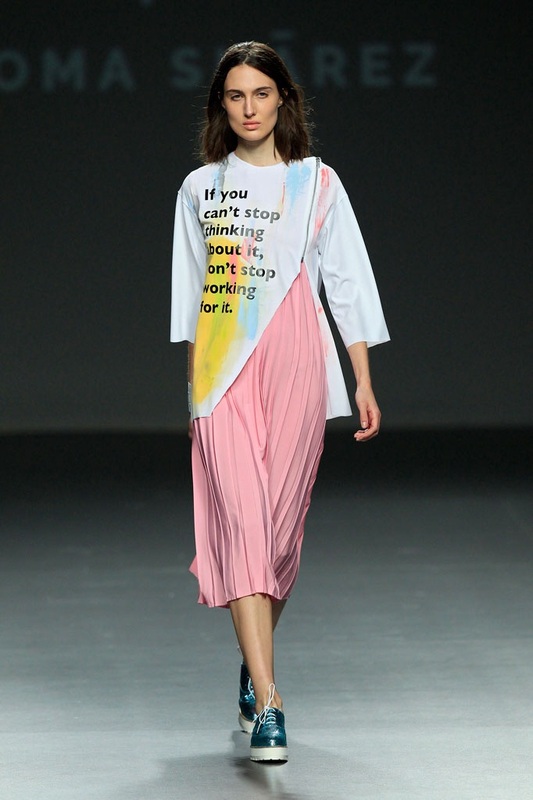 Your last collection was full of motivational messages such as “never give up”; “work hard” and “stay humble”. I understand the inspiration for this was to do with a personal crisis - what can we expect from your next SS17 and where will you be showing? All of my collections are a reflection of emotional states which I experiment with while I’m designing. It is the escape route I use to get my feelings out, and I think others can connect with it at the same time. My next ss17 collection will speak about the moment that I was living at the time it was created; full of stress and lack of time, and I’m sure you'll also understand this feeling when you see it, because it's something everyone has lived before. It’ll be shown at World Fashion Week Paris 2016. I understand there are some exciting projects for the brand in 2016/2017 can you share them with me? Truly I like living day by day. I could talk about my participation in Showroom EGO at MBFW Madrid in September, my next show and exhibition in Paris as a representative of Spain in November, the addition of new boutiques where you can find my clothes and the appearance of male designs in my collections, but I’m working very hard to set new goals and let life continue surprising me. I'll be happy to keep on sharing these dreams with you.